Infinity War star Anthony Mackie was supposed to save the day this weekend at Comic-Con Africa after Aquaman star Jason Momoa pulled out earlier this year. However, Hurricane Florence is now wreaking havoc on the east coast, preventing Mackie from getting on a flight, and forcing the actor to cancel his Comic-Con appearance. The convention is happening all weekend long in South Africa and it has been sold out for weeks. Event organizers will be offering refunds or autograph swaps to fans who were specifically attending to meet Mackie and get some intel on Avengers 4. Anthony Mackie released a video statement through Comic-Con Africa social media. 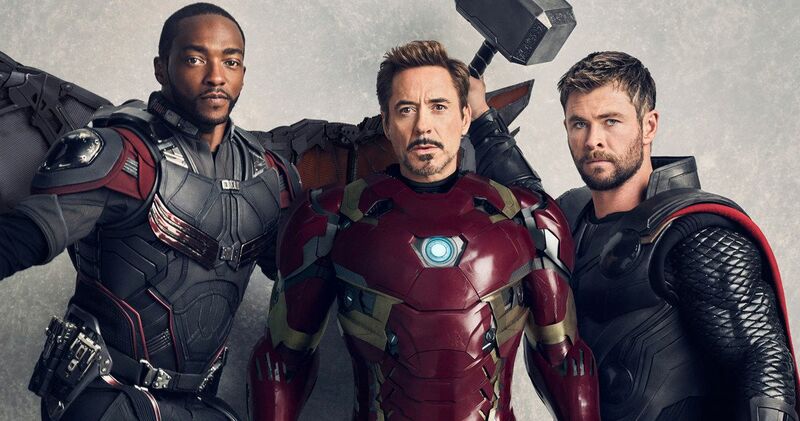 The Infinity War actor apologized for having to pull out at the last minute, but promised that he’ll either be back next year or in the near future. Due to the short notice, the convention tried to find a replacement for Mackie, but they were unable to do so. Comic-Con Africa also noted that all other guests from outside of the United States will be attending on schedule. Hurricane Florence slowly made landfall in South Carolina early this morning and is dumping as much as 3 inches of rain per hour. Witnesses say that houses filled up with water within minutes, leading to rescues for people who chose not to evacuate. It’s estimated that over 150 people in South Carolina alone are trapped in their attics awaiting rescue. With that kind of storm hitting the east coast, it’s no wonder why Anthony Mackie was not able to secure a flight out to South Africa for the annual Comic-Con. The Hurricane is expected to dump around 40 inches of rain in the Carolinas. Anthony Mackie is more than likely on the set of Avengers 4, which is currently filming in Atlanta and pretty close to the impact zone of Hurricane Florence. Mackie’s Falcon character sadly turned to dust at the end of Infinity War, so it’s unclear how he will be brought back after Thanos completed his mission, but we do know that characters who did not survive the events of the last film will be on hand for reshoots. Drax the Destroyer and all of the Guardians of the Galaxy, minus Rocket, were turned to dust, but Dave Bautista has revealed that they will be in Atlanta filming. It’s a shame that Anthony Mackie won’t be able to make it to Comic-Con Africa, but there really isn’t anything that he can do about the situation now that Hurricane Florence has landed. The severe storm is expected to stick around the east coast all weekend, so hopefully residents have evacuated and are in safe areas. Winds as his as 80mph are expected, along with a lot more water. You can check out Anthony Mackie’s apology video below, thanks to the Comic-Con Africa Facebook page.